TONGE, GRIZELDA ELIZABETH COTTNAM, poetess; b. c. 1803 in Windsor, N.S., third child of William Cottnam Tonge and Elizabeth Bonnell; d. 19 May 1825 in Demerara (Guyana). In the spring of 1825 Grizelda sailed from Nova Scotia to join her father in the West Indies. 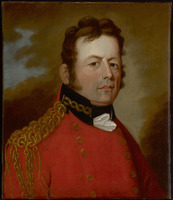 He had gone there in 1808 with Lieutenant Governor Sir George Prevost*’s expedition against Martinique and had subsequently settled at Demerara. Shortly after arriving she died of a tropical fever, leaving behind a few short poems as her literary legacy. Her importance to Nova Scotian literature, however, lies not in her poetry, but in what she came to symbolize to a generation of Nova Scotian writers concerned with creating a native literary culture. Following her premature death, Grizelda Tonge emerged as the epitome of the young, beautiful, gifted poet tragically struck down just as her talent had begun to bloom. She thus symbolized both the promise of a Nova Scotian literature and the tragic fragility of such genius amid the harsh realities of 19th-century colonial life. This perception of her was based partly on her poem “Lines composed at midnight . . . occasioned by the recollection of my sisters,” which she wrote during her passage to the West Indies. Her description of her feelings at being separated from her sisters appears to be almost a premonition of her unexpected but imminent death. Sweet Sister blossoms, where are ye? And train them to the skies. The apparent sensitivity of mind revealed in this poem caught the imaginations of young writers who, in their concern for the quality of life in Nova Scotia, sought to establish a native literature as an integral part of their social and cultural environment. [A few poems by Grizelda Tonge were published in Nova Scotia newspapers and magazines, in most cases after her death, although an ode addressed “To my dear grandmother, on her 80th birth day” appeared in the Acadian Recorder on 5 March 1825. 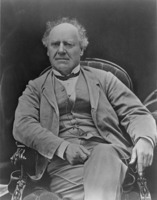 The poem is unsigned, but a letter preceding it describes it as the work of “a young lady of Windsor”; it was subsequently reprinted in the fourth instalment of Joseph Howe’s “Nights with the Muses . . . ,” Novascotian, 16 June 1845, and in another tribute to her in the uncredited series “Half hours with our poets,” Provincial: or Halifax Monthly Magazine, 1 (1852): 45–49, 273. Tonge’s “Lines composed at midnight, on my passage to the West Indies, occasioned by the recollection of my sisters” has likewise been printed under various titles in several articles including “Half hours with our poets” and the fifth instalment of Howe’s “Nights with the Muses . . . ,” Novascotian, 23 June 1845. A broadside version of this poem with no date or place of publication was also issued after her death; a copy of this is preserved in PANS, MG 100, 204: 3s. Howe’s article of 23 June 1845 also prints a number of her manuscript poems, including “A hymn of praise” and two elegies, “Lines . . . composed in the church yard of Windsor, N.S., . . .” and “Extempore lines, occasioned by seeing the corpse of Mary, youngest daughter of the Hon. James Fraser. . . .” Manuscripts of some of Tonge’s poems, including the “Hymn of praise” and “Lines composed at midnight,” are among the Joseph Howe papers at Harvard College Library, Houghton Library, Harvard Univ. (Cambridge, Mass. ), ms Can. 58 (mfm. at PANS). Thomas B. Vincent, “TONGE, GRIZELDA ELIZABETH COTTNAM,” in Dictionary of Canadian Biography, vol. 6, University of Toronto/Université Laval, 2003–, accessed April 20, 2019, http://www.biographi.ca/en/bio/tonge_grizelda_elizabeth_cottnam_6E.html.